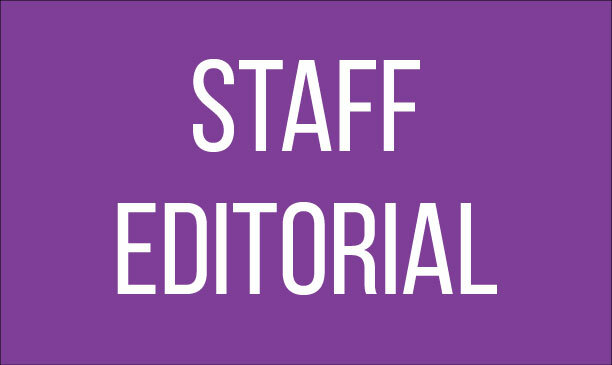 According to a survey conducted by the HiLite staff in September, only 28 percent of students said they would rate the school’s safety as a five on a one-to-five scale with five being the safest. However, in December, when the administrators played the promotional video and instructions on how to download the school’s new STOPit app, which is geared to help improve that very issue of safety, only a handful of students in each class could be seen scanning the QR code and logging into the app. Neglecting the app is not helpful to students or administration. By not downloading the app, students leave no way for themselves to communicate with administration about potential issues that could disrupt school safety, as the school discarded the old anonymous alert system along with the myCCS browser. With the new update, the anonymous alert system’s replacement, STOPit, boasts two-way communication. This feature, which was not present in the previous online version, solidifies the system’s effectiveness as a whole. Before, students would file an alert and then never find out from the administration whether something had been done about it or not. 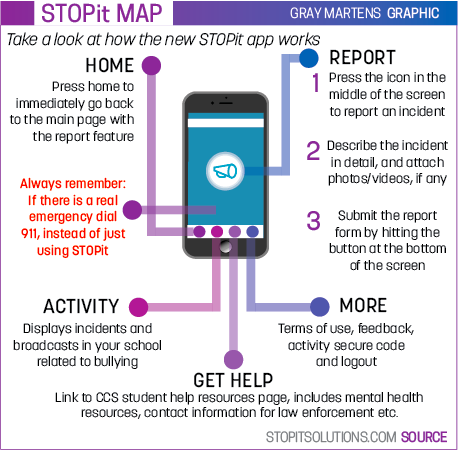 Now, once a student sends an alert through the STOPit app, they will be able to have two-way communication with the administration, School Resource Officer or another person who is working on the situation. This feature allows for more efficient and effective use of the communication tool, as the person who sent in the alert can provide the person acting on it with additional information if necessary to help the situation. Before the implementation of STOPit, if those who followed up on the tip needed more information, there were no means for them to obtain it as they could not track down the person who submitted the alert. 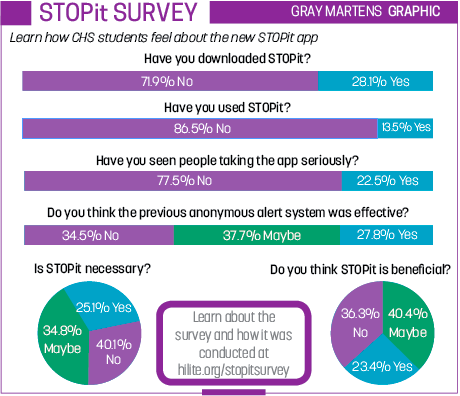 With STOPit, the convenient app format allows a message to be sent back to the student’s account requesting more information about the situation at hand without ever releasing the student’s name. Like the app, school safety goes two ways. Students play as much of a role in the process as adults, but they need to fully participate for it to work effectively. One might say it is only necessary to have the app when there is an issue that calls for its use, but it is better to be proactive especially since the anonymous alerts sometimes deal with urgent, life-threatening circumstances. Students no longer need to log into myCCS when filing an anonymous alert, but by not downloading the app beforehand, students do not fully utilize the added efficiency and convenience of the new system. As a precaution, however, even with the increased ease of use STOPit has compared to the anonymous alert system, students should refrain from using it to submit false alerts as a joke or in other irresponsible ways. Now that administration has provided the student body with an appropriate and easily-accessible format for anonymous communication through the STOPit app and has fixed previous issues with the system, it is up to us as students to start taking school safety seriously and not only download the app, but also then use it when necessary.